The Tribeca Film Festival is canceling plans to host the world premiere of an anti-vaccine film called "Vaxxed: From Cover-Up to Catastrophe." Festival co-founder Robert De Niro, who defended the inclusion of the film just one day earlier, said Saturday that "we have decided to remove it from our schedule." The strange U-turn underscores the extraordinarily controversial nature of the public conversation around vaccinations. "Vaxxed" was directed by Andrew Wakefield, an activist and former doctor whose 1998 study linking autism to childhood vaccines was discredited and retracted years ago. According to its website, the film centers around a "whistleblower" from the Centers for Disease Control who says the agency later covered up evidence that a link did exist. Its acceptance into the prestigious Tribeca Film Festival came as a surprise. The Los Angeles Times highlighted the controversial decision earlier this week. On Friday, De Niro came forward and said it was his advocacy for "Vaxxed" that landed it a spot on the festival schedule. De Niro said he and his wife Grace Hightower "have a child with autism and we believe it is critical that all of the issues surrounding the causes of autism be openly discussed and examined." 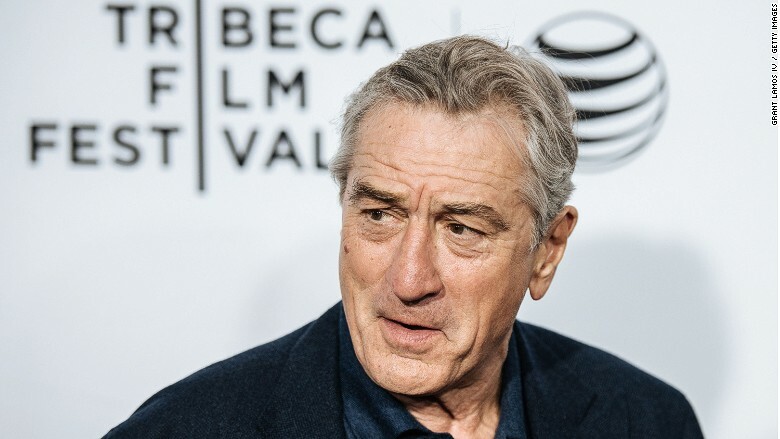 "In the 15 years since the Tribeca Film Festival was founded, I have never asked for a film to be screened or gotten involved in the programming," De Niro said in a statement. "However this is very personal to me and my family and I want there to be a discussion, which is why we will be screening 'Vaxxed.'" He emphasized that he is not "personally endorsing the film," nor is he "anti-vaccination." About 24 hours later, De Niro followed up with a new and very different statement. "After reviewing" the film "over the past few days with the Tribeca Film Festival team and others from the scientific community, we do not believe it contributes to or furthers the discussion I had hoped for," he said in a statement distributed by the festival. De Niro continued: "The festival doesn't seek to avoid or shy away from controversy. However, we have concerns with certain things in this film that we feel prevent us from presenting it in the Festival program. We have decided to remove it from our schedule." De Niro did not specify who "we" represented, but the festival was also co-founded by Jane Rosenthal and Craig Hatkoff. The "Vaxxed" filmmakers posted a response to the decision on its website. "It is our understanding that persons from an organization affiliated with the festival have made unspecified allegations against the film - claims that we were given no opportunity to challenge or redress," Wakefield and Del Bigtree, the film's producer, wrote. "We were denied due process." "Tribeca's action will not succeed in denying the world access to the truth behind the film Vaxxed," the filmmakers said, adding, "We will be pressing forward and sharing our plans in the very near future."